Youth are having a blast this summer at the AYC – and do you know what they are doing? Trust me – you will never believe it . . . 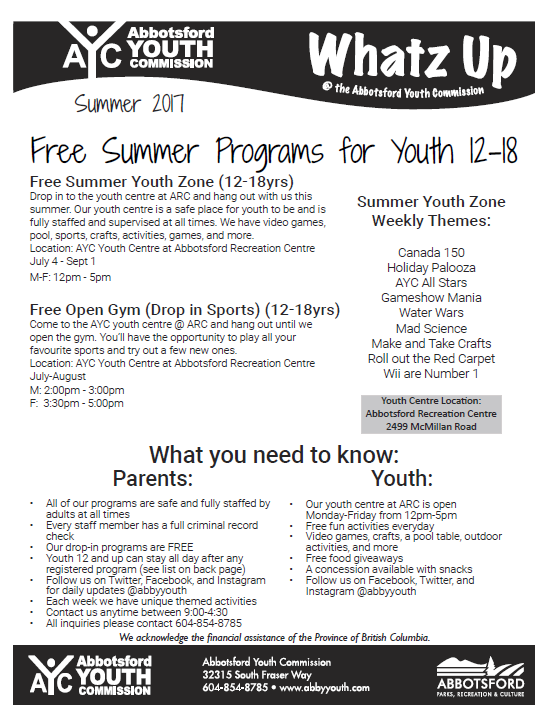 Check out our Summer 2017 programming for all youth 12-18 years old.